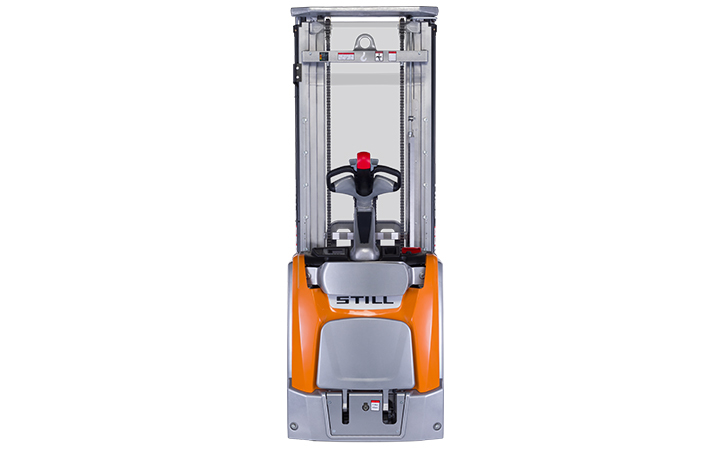 The EXV-SF high lift pallet truck is unbelievably fast, extremely strong and highly intelligent. 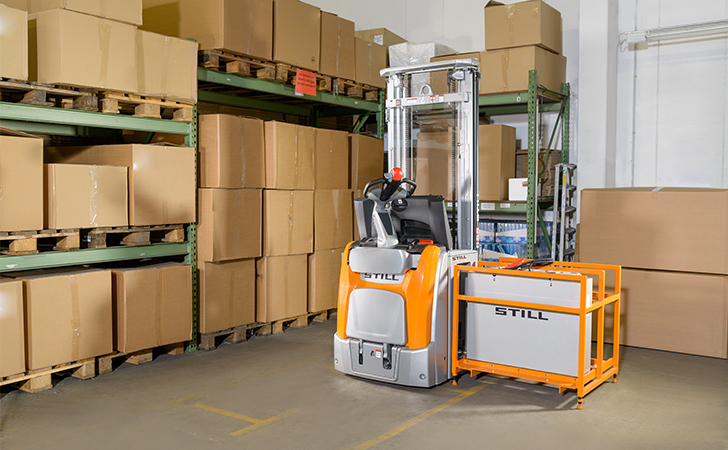 With an extended stand-on platform and lateral protective arms, it accelerates to a top speed of 10 km/h, and moves up to 2,000 kg of pallets in record time. 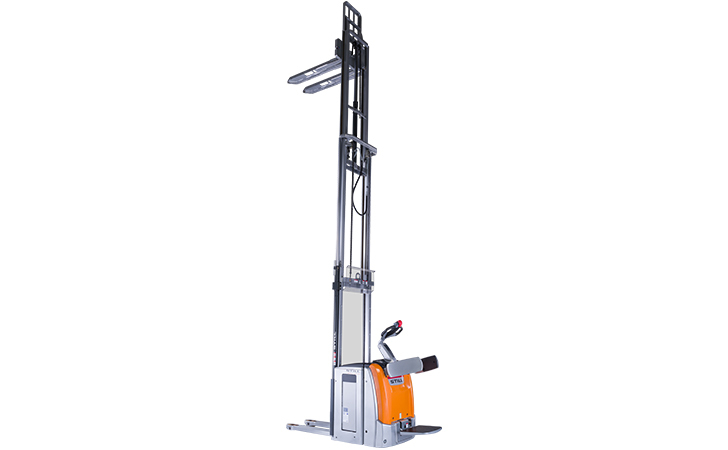 Thanks to its huge residual load capacity, it can also store a great deal at a great height – depending on the mast, storage heights of well over five metres are not a problem. 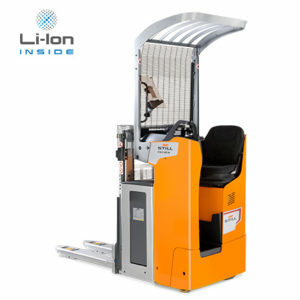 This smart warehouse organiser is also the only high lift pallet truck to date with an informative colour display. 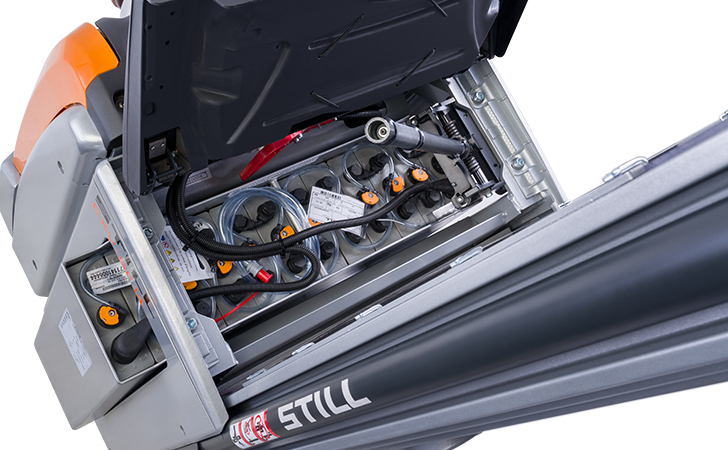 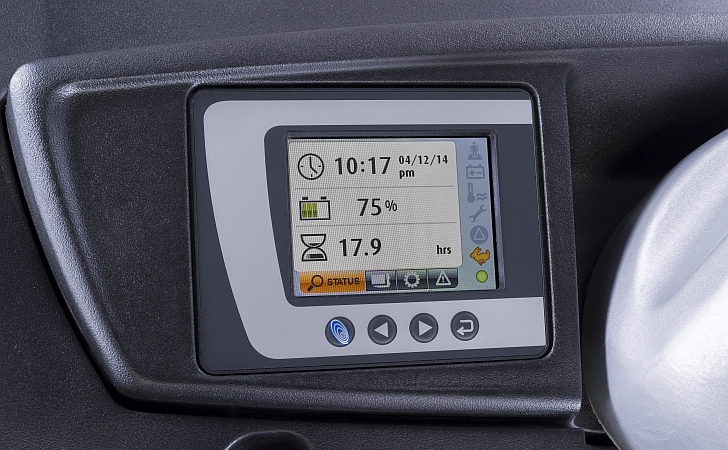 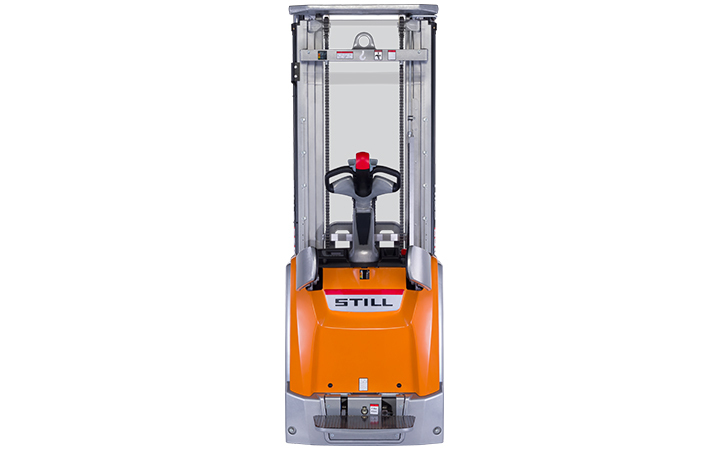 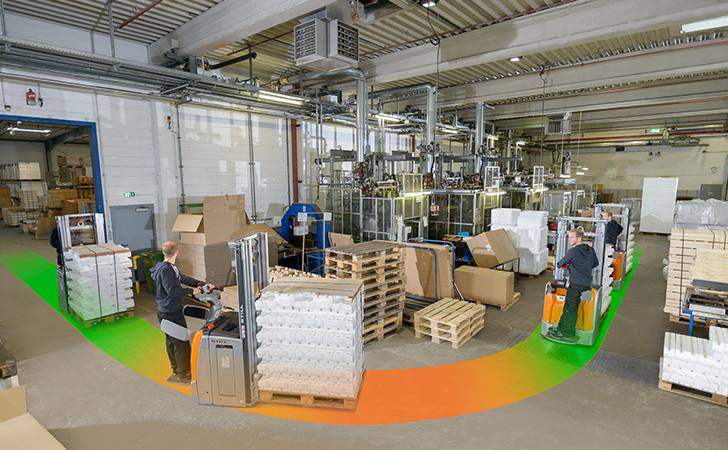 As well as displaying basic information, such as the battery’s state of charge, numerous language-independent symbols facilitate the optimal operation of this strong high lift pallet truck. 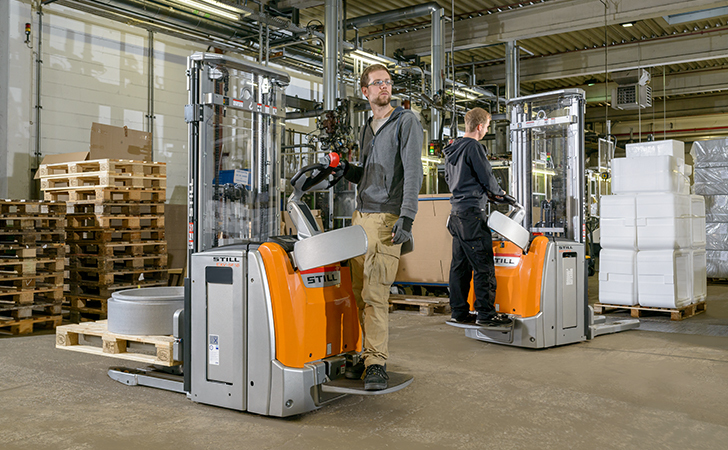 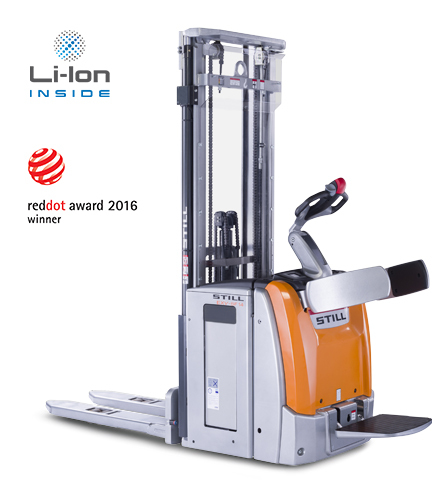 Together with its powerful and low-maintenance motor and its precise control elements suitable for either left- or right-handed operators, it can achieve unprecedented reloading of pallets. 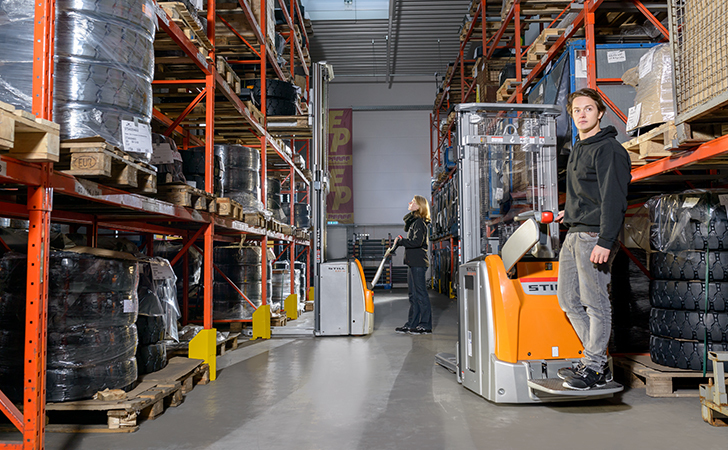 Optional load capacity display, speed reduction around corners as standard, and optional combi-tiller provide optimum driver safety and enable the EXV-SF to turn and move easily – even in the most confined spaces. 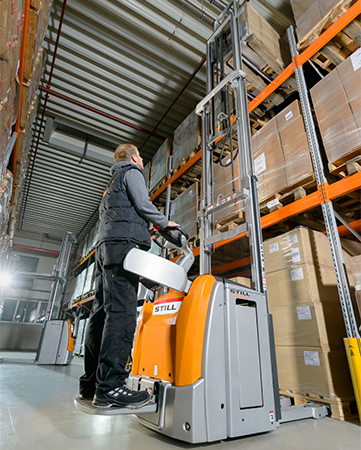 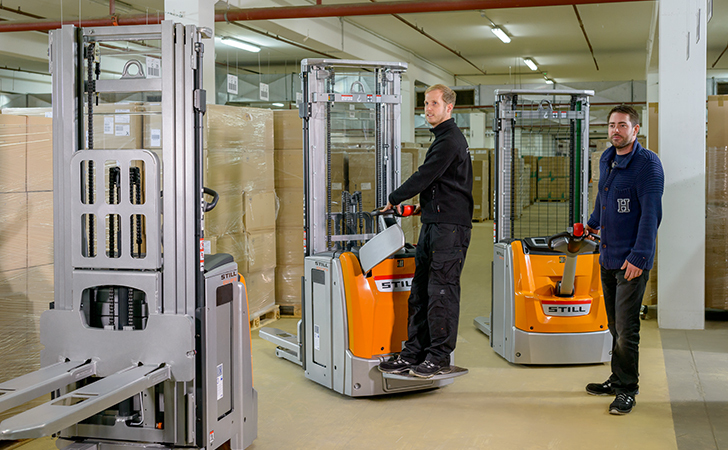 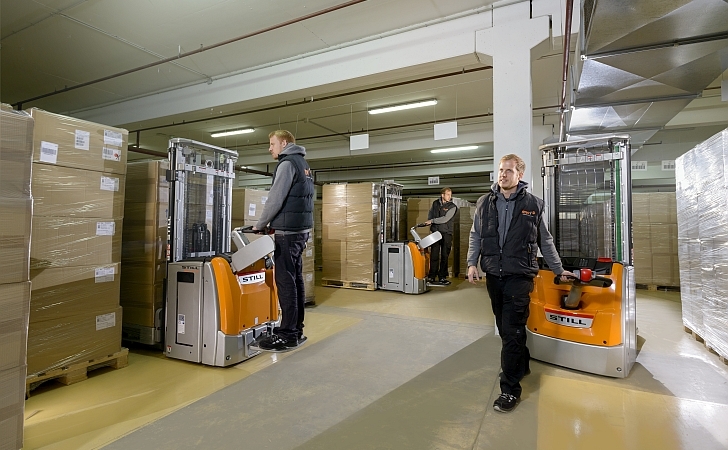 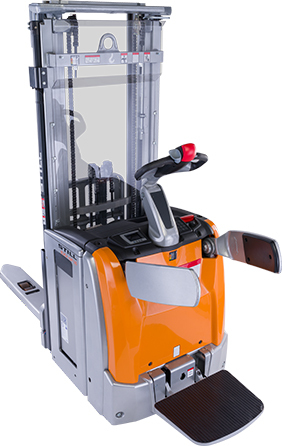 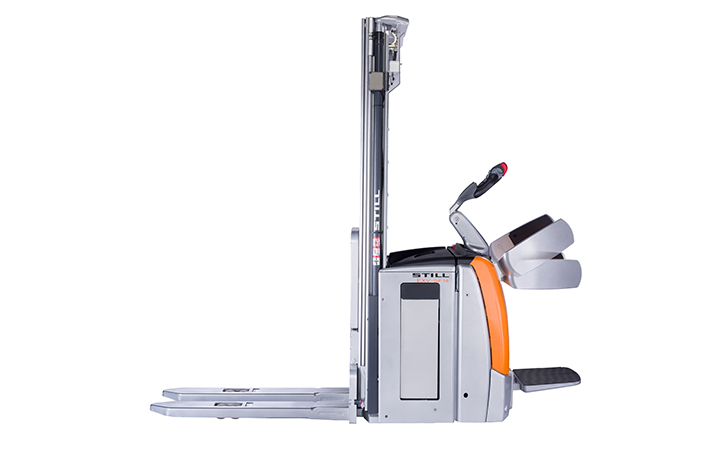 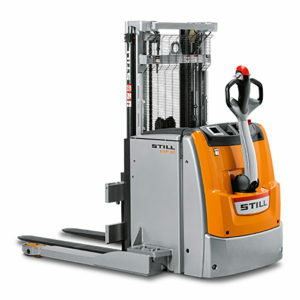 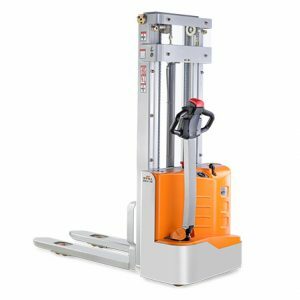 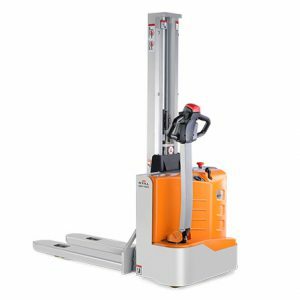 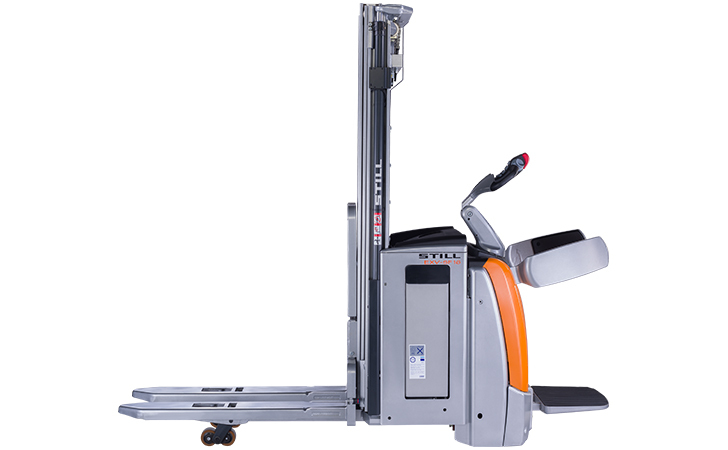 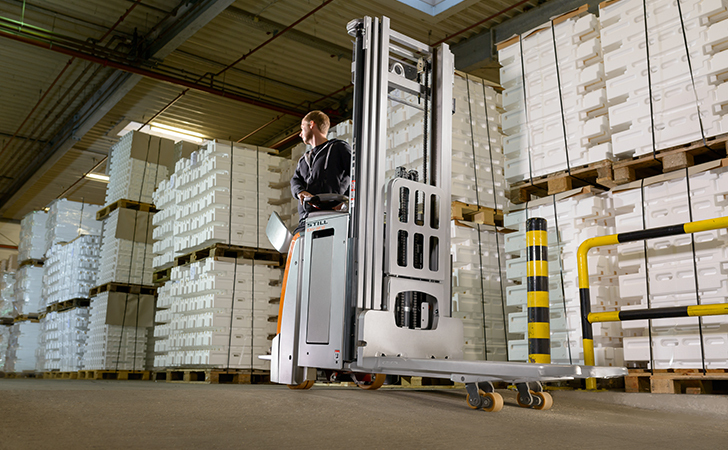 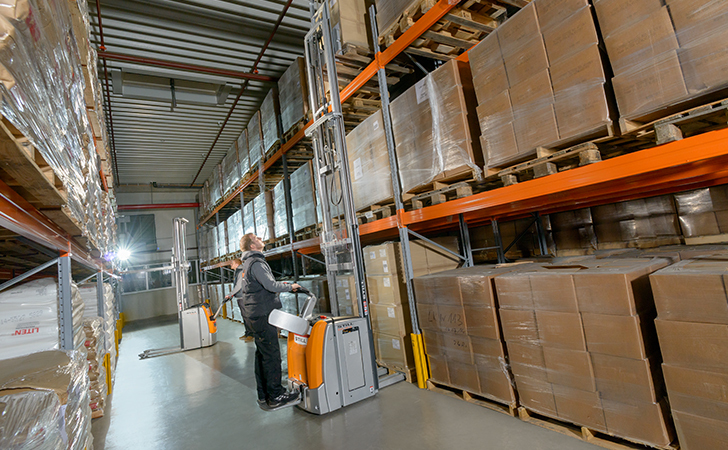 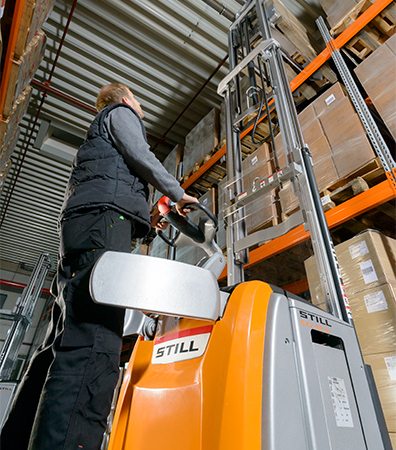 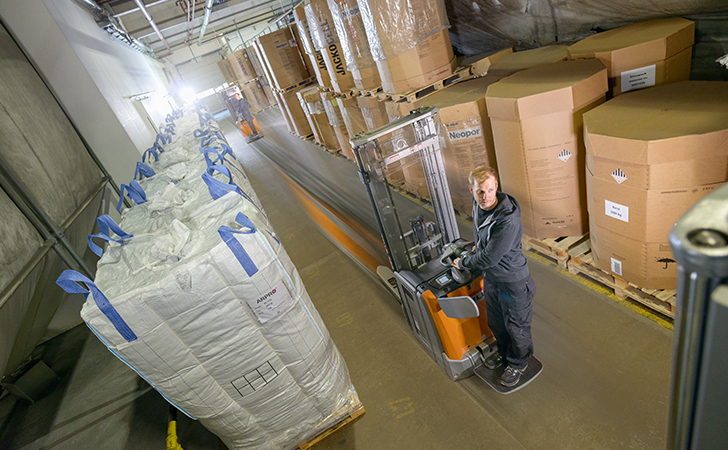 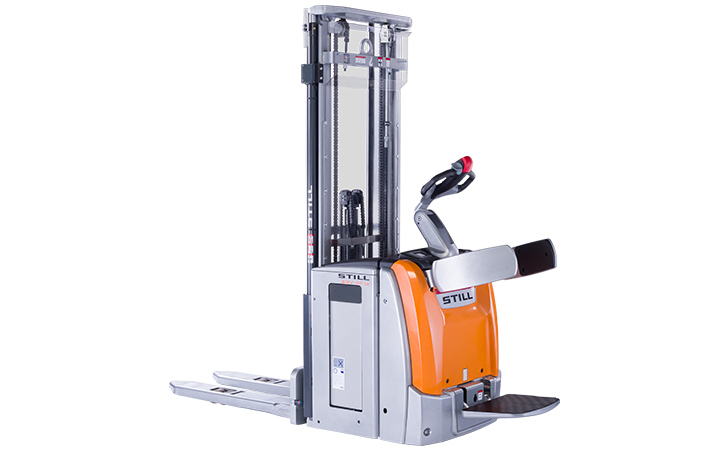 The EXV-SF high lift pallet truck, which is as strong as it is smart, means that you can always keep your flow of goods safely under control; from transporting loads within the pre-storage area to operating the shelving system – and you will be thankful for the stand-on platform over longer distances.